CLICK HERE TO GET YOUR FREE EVENT SEATS! Event Flyer by a Student! 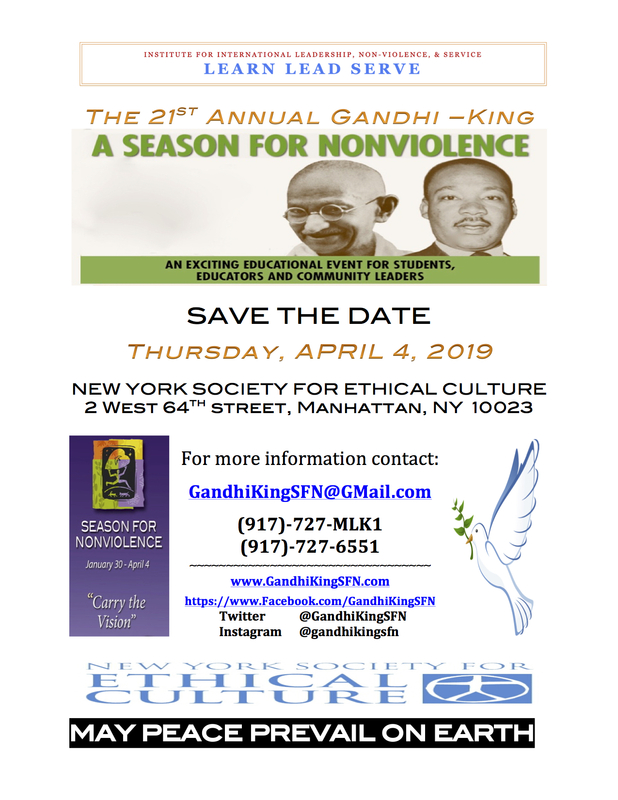 The Season For Nonviolence Organizing Committee would like to feature student/youth and community presentations at our April 4, 2019 event. "ART PEACE: Spreading Peace by Piece"
Express what peace means to you, submit any form of art that can be visibly displayed live, on paper or through a digital screen, including paintings, drawings, digital art, short films, etc. Selections of art pieces may be exhibited during the event & on the official Gandhi-King Season For Nonviolence website. Copyright © 2018 Gandhi King Season For Nonviolence - All Rights Reserved.